"Eventually, it is expected to generate more energy than it consumes." Researchers at the Swiss Federal Institute of Technology in Zurich have developed a new form of ultra-thin, curved roofing that’s capable of producing solar power. The design will allow a residential structure that’s part of the school’s living lab facility, NEST, to generate more energy than it consumes. The roof is made up of several layers; an inner sheet of concrete, which acts as a foundation for heating and cooling coils and insulation, which are in turn covered by more concrete. Thin-film photovoltaic cells used to harvest solar energy are then installed on the exterior of the building. The prototype for the roof was some 7.5 meters high, and had a total curved surface area of 160 square meters. It’s now been dismantled, ahead of the same design being implemented next year on the HiLo apartment building that’s part of the NEST project. The unique shape of the roof would typically be constructed with non-reusable materials like specially fabricated timber or milled foam. Instead, this project used a net constructed from steel cables which was covered with a polymer textile, producing a form that the concrete could adhere to. This facilitated the unusual design, but it made the project considerably cheaper in terms of the the cost of materials. The Block Researcher Group and the Swiss National Centre of Competence contributed an algorithm to the project to ensure that the roof would take on its desired form when the weight of wet concrete was applied to the net. The concrete was sprayed onto the net using a technique developed specifically for this application. Roof-mounted solar panels are nothing new, but various advanced versions of the technology have emerged in the past few years. As well as being incredibly efficient, this new hardware is typically a lot cheaper than previous iterations. Tesla’s well-publicized solar roof project is perhaps the most prominent example. If the finished product is as effective and inexpensive as Elon Musk has suggested, it could potentially bring a method of harnessing solar energy to more homes than ever before. However, Tesla isn’t the only company innovating when it comes to solar power. The roll-up solar panels developed by Renovagen demonstrate another way that solar technology is being implemented in ways that were unheard of even a decade ago. 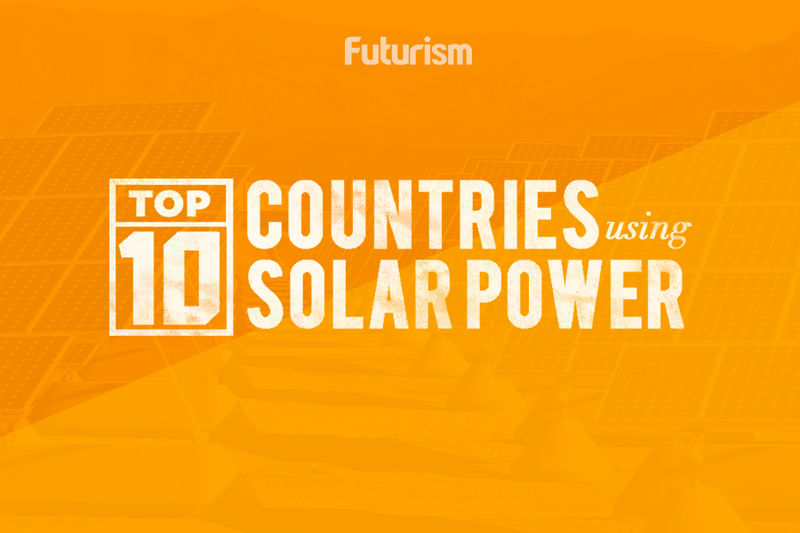 Solar power is an increasingly viable way to produce energy, and more and more countries are investing in solar infrastructure on a large scale. Thanks to projects like the HiLo roof, individuals are set to have more ways to implement the technology in their own homes than ever before.